Caleb’s father passed away when he was a young boy, leaving his mother behind to raise three children. When it was Caleb’s turn to join secondary school in January of 2016, his family had no money to pay his school fees. 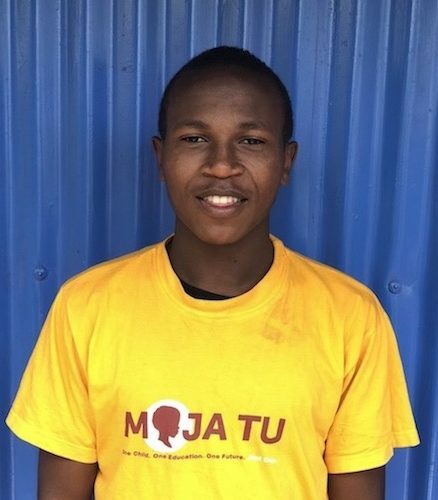 Well-wishers around the neighborhood donated enough to pay his part of his school fees; however, he still needed supplies and the rest of his fees paid, so Caleb was sent home not long after the start of his first term of high school. Caleb knows that the best way he can help his family out of poverty is to earn his education and build his career. He is a strong, bright young man, with lots of potential and a great future ahead of him. Thank you for helping Caleb continue to pursue his education!